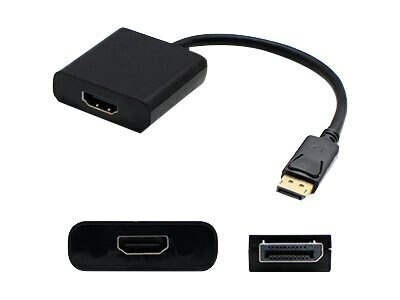 ACP-EP Displayport to HDMI M F Adapter, Black, 7.9"
This is a DisplayPort 1.2 to HDMI 1.3 male to female active black active adapter for connectivity between display devices. This part requires the use of a DP++ port. This device offers a maximum resolution of 2560x1600. This part is designed to fit your application needs by providing DisplayPort 1.2 to HDMI 1.3 connectivity.